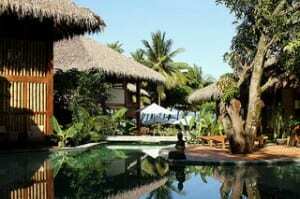 Pranamar Villas & Yoga | Pranamar Villas & Yoga | Relax! It's Only a Matter of Life or Death. Relax! It’s Only a Matter of Life or Death. A quick Google search on “the importance of relaxing” yields 49,100,000 results in 0.30 seconds. Apparently, a lot of people, everywhere, think it really is important. I know what you’re thinking, “I already know this.” The thing is we all do. And yet, most of us don’t heed the wisdom. We work, do, be in action, etc. often until we’re exhausted either physically, mentally or emotionally, or all three. There is always just “one more thing” to do, one more email to answer, one more task to finish. I’m as guilty of it as the next person. Amazingly enough, if you should ever happen to get sick or injured, you find very quickly that “the world goes on without you.” The planet does not stop revolving, civilization as we know it does not end, and countries do not collapse just because we take a day off – as in, don’t go to the office, don’t turn on the computer, don’t use our phone, don’t compulsively clean or fix one more thing at home, etc. A friend sent me this little vignette recently by email: “A young lady confidently walked around the room while explaining stress management to an audience with a raised glass of water in her hand. Everyone knew she was going to ask the ultimate question, ‘Half empty or half full?’ “How heavy is this glass of water?” she inquired instead, with a smile. Answers called out ranged from 200 grams to 1 pound. She replied, “The absolute weight doesn’t matter. It depends on how long I hold it. If I hold it for a minute, that’s not a problem. If I hold it for an hour, I’ll have an ache in my right arm. If I hold it for a day, I might have to go to the hospital.” “In each case it’s the same weight, but the longer I hold it, the heavier it becomes; and that’s the way it is with stress. If we carry our burdens all the time, sooner or later, as the burden becomes increasingly heavy, we won’t be able to carry on. As with the glass of water, you have to put it down for a while and rest before holding it again. When we’re refreshed, we can carry on.” There is a lot of wisdom in that little story. Much research has been done around the world studying the relationship between stress and health. 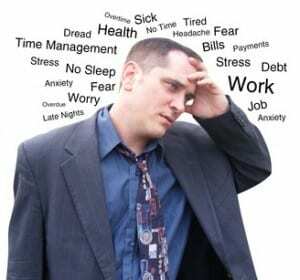 There are whole institutes dedicated just to stress management. 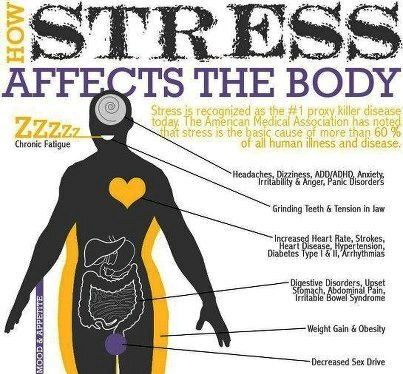 On the up side, stress is the body’s way of protecting you. When working properly, it helps you stay focused, energetic and alert; but beyond a certain point, stress stops being helpful and starts causing major damage to your health, your mood, productivity, relationships, and your quality of life, according to a study by experts Melinda Smith, M.A., Robert Segal, M.A., and Jeanne Segal, Ph.D. They say the most dangerous thing about stress is how easily it sneaks up on you. You get used to it. It becomes familiar or even seems normal. You don’t notice how much it’s affecting you, and the cost is high. So, what’s the price? Medical studies show that long-term exposure to stress can raise blood pressure and cholesterol levels, increase the risk of heart attack and stroke, contribute to infertility, create hypertension, cause digestive disorders, lower the immune system which leaves you more open to infections and viruses, and speed up the aging process. If you don’t do this, the prospect isn’t pretty. So, what to do? Taken from many sources, the crucial elements are: get a good night’s sleep, eat healthy (filling your body with junk food doesn’t help the situation), exercise even 15-20 minutes every day (walk! ), stretch, take breaks, breathe fresh air (combine with walking! ), spend time in nature, laugh, and simply breathe deeply! 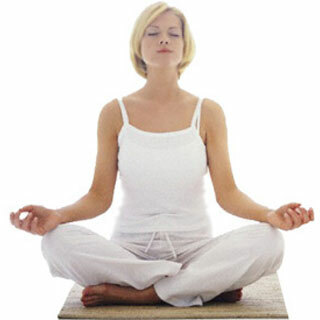 There are many relaxation techniques out there like yoga, meditation, music, creative arts, and rhythmic and repetitive exercise like walking, running, swimming, kayaking, cycling, etc. where your mind can flow freely. One study even says that laughter, even deliberately induced laughter, provides emotional and mental release in addition to significant physiological benefits and relaxation on all levels. As clichéd as it sounds, vacation was created to give people time off to relax from work. Convinced yet that you deserve – even your life depends on – that break and vacation? In Costa Rica, there’s a place that can help you relax your way back to health. Pranamar Oceanfront Villas & Yoga Retreat, set right on the shoreline at Santa Teresa Beach, is a gorgeous, intimate boutique hotel with luxury two-story villas, elaborate beachfront bungalows, abundant tropical gardens, an organic healthy-cuisine restaurant and a free-form saltwater pool. Santa Teresa Beach is located on the remote lower Nicoya Peninsula of the Pacific Coast – worlds away from stress; it was voted the #1 beach in Central America for 2012 by Trip Advisor. Pranamar Villas, also winner of the 2012 Trip Advisor Traveler’s Choice Award, offers you daily in-house yoga classes, regular yoga retreats and workshops, all-inclusive yoga vacations, and surfing and yoga holidays. As well, they offer an abundance of bodywork treatments (massage, etc.) to benefit your body, mind and spirit, and keep you healthy. Check out their selection here. Just tell your boss (or yourself!) that a vacation is the answer to a better, more productive you.